As I mentioned last week, if there’s one thing I’d recommend more than anything when it comes to getting on the healthy eating track it would be to add more greens (or any vegetables really) to each meal. It can be overwhelming to constantly hear about what not to eat, but let’s think of it instead as adding nutritious food to our existing meals. It’s a great way to get started without getting too overwhelmed. Once we start adding more greens or vegetables to our plates you may find that the greens you’re adding start to nudge out the other foods and you’ll be eating more vegetables in no time. Pesto is a great way to sneak more greens into each meal and can be made with so many types of greens like cilantro, basil, kale, spinach and parsley. I like drizzling pesto on my eggs, salads (you see the little bit of pesto on the side of the salad in the photo above), meats and fish. Smoothies are a fantastic way to get a few extra greens into your diet. 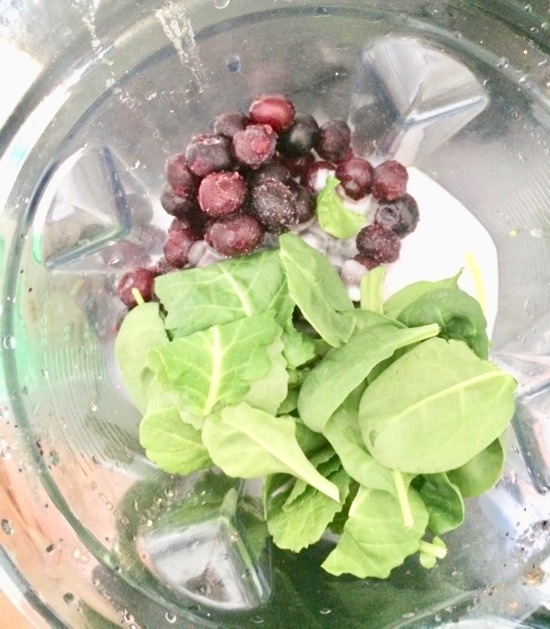 Even if a smoothie recipe doesn’t call for it, I’ll typically add a handful of spinach or kale to my smoothie. I do this all the time for the kids’ smoothies too which is a great way to sneak in that extra veg! I love to add greens to pasta to give it a little boost. 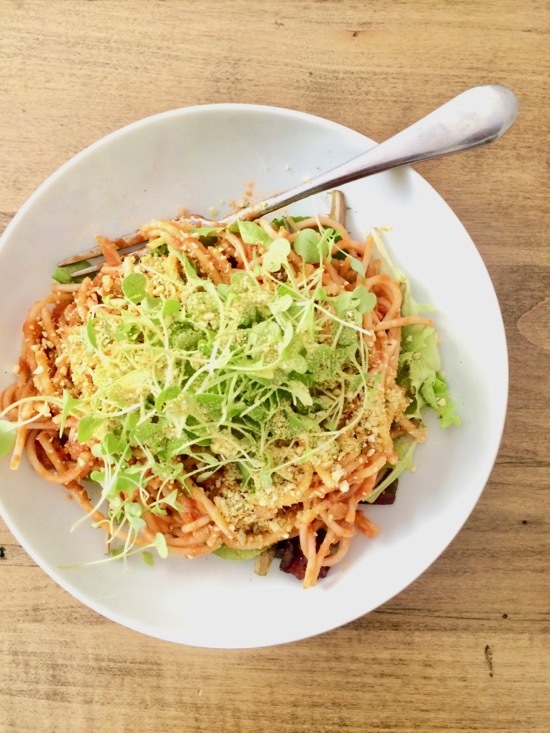 This photo above has mixed greens on the bottom, pasta with a simple homemade tomato sauce and then it’s topped with sprouts and vegan parmesan cheese. I find it very satisfying and amps up what can sometimes be a boring dish. I remember making breakfast in Florida one year and my father-in-law raised his eyebrows: “Salad with eggs?” Yep! 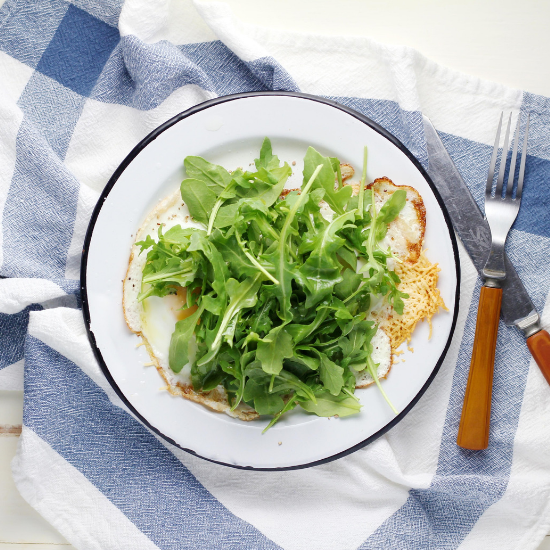 I find adding salad with my eggs helps to nudge out the need for toast. 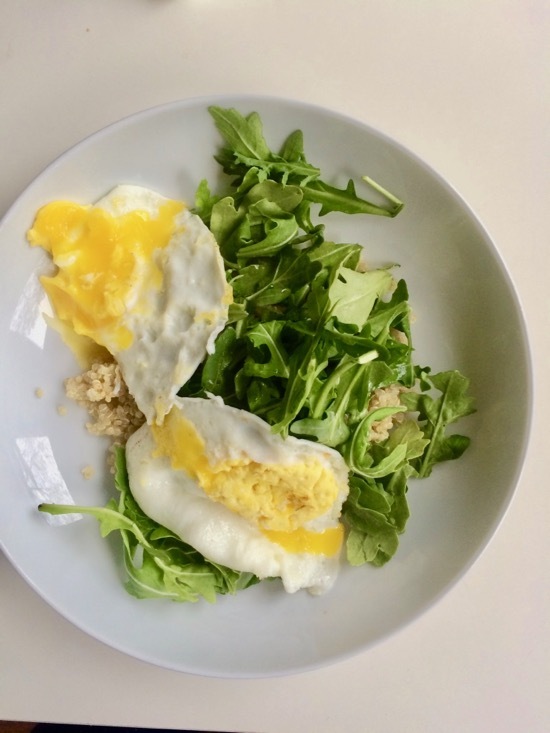 In the photo above I had some leftover quinoa and topped it with arugula and a couple over-easy eggs. Fast and delicious. Yes there’s always room to add more greens to salad! This is my rainbow salad (look at all that colour!) topped with sprouts. 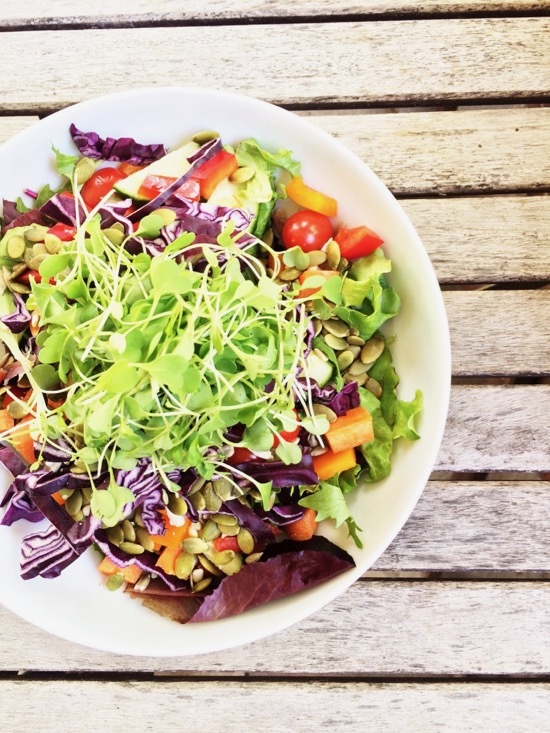 Adding sprouts packs that extra punch of nutrition to the already nutritious salad because sprouts contain more concentrated forms of vitamins and nutrients than the full-grown greens. That’s it for now! I hope you got some ideas on how to add more greens to your meals. Once you start adding them, you may find your body will crave them and you’ll be putting them on everything.